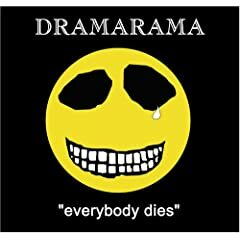 This week we featured music from Dramarama's latest album, Everybody Dies. The title track and "Good Night, America" are nearly polar opposites in content and delivery but showcase strong songwriting and the cohesiveness of a band that has been together for years (although, this is their first album together since 1993's Hi-Fi Sci-Fi.) We're still trying to figure out why it isn't in our collections but that will be remedied on Tuesday. It can be noted that there was something on their MySpace page hinting to a new album this year. We'll have to wait for confirmation.